Have a question about your practice assignment? Need help tuning your guitar or violin? Working on an art project and need some advice? Want to sign up for a class, camp, or book a party or workshop? Are you one of our students and desire to practice a duet, practice on one of our pianos, or jam with a friend? Maybe you have a question that you forgot to ask or didn't have time to ask in class? DROP IN ANY SATURDAY BETWEEN NOON AND 1:00 PM AND ONE OF OUR TEACHERS WILL BE HAPPY TO HELP YOU! 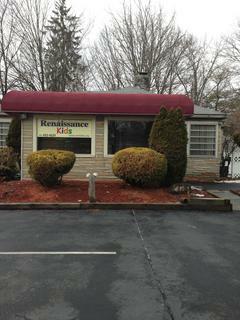 Of course you can also email us at info@renkids.org, message us in Facebook, or call us at (845) 452-4225. Parents and music students often ask about quality recordings of classic music. When choosing what to buy, try to choose recordings made by virtuoso musicians with impeccable technique. This will help students to distinguish good from average technique, and to emulate the best of the best. As music students advance, they will be playing some of this repertoire in there studies. Beginning students can benefit as well, as they can listen to what their instrument is capable of producing as a result of their diligent work and continued study. When it comes to arts and crafts, the more the better! Take advantage of our over 20-years of research, teaching, and experience. Here are some great ideas to explore. 1. Keep a journal. Write, draw, paint . . . just put your ideas down on paper. Encouraging children to write or draw for just a few minutes a day increases literacy and personal growth. Great for adults, too. 2. Build something. Anything. Out of paper, cardboard, clay, empty plasic bottles, let your imagination run wild. 3. Sew. Knit. Crochet. Embroidery. Weaving. Don't let these become lost arts -- they have great benefits for learning math, measuring, construction, fine motor skills, following directions, and so much more. Plus, the result is you wind up with something great to wear or use in your home! We would like to start a new "Lost Arts" class -- please call 845-452-4225 or email us at info@renkids.org for information.